Jaguar’s first compact SUV, the E-Pace crossover, takes shape as a smaller, fresher and better-looking F-Pace, with a slick design and admirable handling that rivals the likes of the BMW X1, Audi Q3, and Mercedes GLA. Unlike many crossovers in the class, this E-Pace is not simply a shrunken version of its bigger sibling, the F-Pace, or a blown-up Jag XE; it is a carefully constructed vehicle with its own identity, well-developed looks and an enhanced driving experience. Despite being loosely based on the appearance of the F-Type both inside and out, its mechanicals are more comparable with the Range Rover Evoque. And despite the slightly misleading “E” in its name, the E-Pace is not available as an EV or PHEV and won’t be until post-2021, according to Jaguar. The E-Pace is a good-looking crossover and has been carefully sculpted by its designers, who have ensured that it doesn’t come across as just a small F-Pace, or just a big XE. Its exterior is dynamic yet slick, aided by the stylish LED lighting and its huge alloy wheels. With its striking presence and smoother shape, the E-Pace leaves a lasting impression on passers-by, and it’ll always turn heads on the roads. If you like the exterior, you’ll love the interior. From its comfort and materials to its space and practicality, the E-Pace’s interior is finished to a high standard and adds to the overall enjoyment of the drive. The cockpit, for starters, is a more practical, better-looking version of the one it’s been inspired by – the sportier F-Type’s. All around the cabin, there are good quality and expensive-looking materials on show – from the bits of polished metal, to the upmarket leathers. Jag has also done a good job of making any plastics seem less flimsy and cheap than others in the class, so drivers and passengers get a real sense of luxury inside. You’ll always feel comfortable behind the wheel, with an adjustable steering wheel and seat to cater to your size and preferences. A lot of light comes into the cabin, thanks to the stylish panoramic glass roof, but there’s no danger of the sun glaring into the eyes of the driver as Jaguar has carefully positioned it to avoid such problems. Practicality hasn’t been neglected, with a great view out the front over traffic and, despite a small back window, reversing comes as standard with all models. There’s a good amount of space and storage throughout the interior but the boot is slightly small – smaller than the Audi Q3 and BMW X1, but bigger than the Audi Q2. You can fold down the back seats with ease though, which is not always the case in some bigger SUVs, giving you plenty of room to stow heavy objects. The E-Pace does have a better sense of space than the F-Pace – despite being a smaller vehicle – because it seems that it’s been more attentively designed than its larger counterpart. Tech is good, but not great. 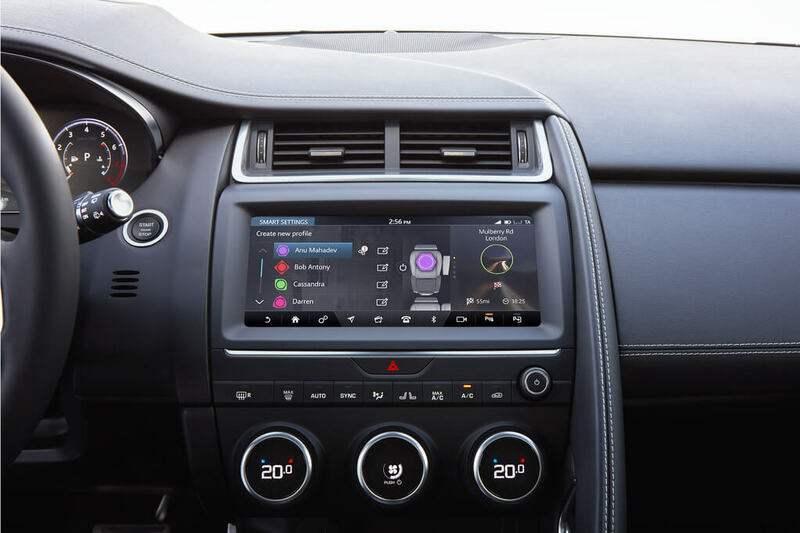 All E-Pace models get the Touch Pro 10-inch touchscreen infotainment centre, which is very good, easy to use and responsive, but the sat-nav itself is not as attractive as most competitors. Another positive, however, is that the InControl Apps technology means you can use your Apple or Android smartphone as usual and it can be controlled via the touchscreen. Before we get into the performance and stats, there are plenty of trims and options to familiarise yourself with if you’re interested in driving an E-Pace. All E-Pace models are equipped with turbocharged, four-cylinder engines. The entry level E-Pace diesel is 148bhp, followed by 178bhp and 236bhp engines, which are more powerful and, understandably, more expensive. They’re ideally named after their power output and ‘D’ (for diesel), so you’ve got the D150, D180 and D240. Same goes for the petrol engine versions, with the P200, P250, and the most powerful P300 to choose from. Trims are slightly tougher to get to grips with. The base model is simply called the E-Pace, handily without any complicated initials or numbers, and starts at a price of £28,930. You then have the body-kitted, sportier R-Dynamic version (£30,320) – all trims have an R-Dynamic version available, which provides a sportier front bumper, a black grille, sports seats and paddle shifters. There are then the S and SE trims (both available with R-Dynamic options) which cost £31,990 and £37,720 respectively and add bigger alloy wheels, LED headlights, leather seats and a range of interior tech. Finally, the range-topping Jaguar E-Pace HSE trim starts at £40,520, including huge 20-inch alloy wheels, keyless entry, a hands-free powered boot, as well as more upmarket leather upholstery and a 12.3-inch digital display. 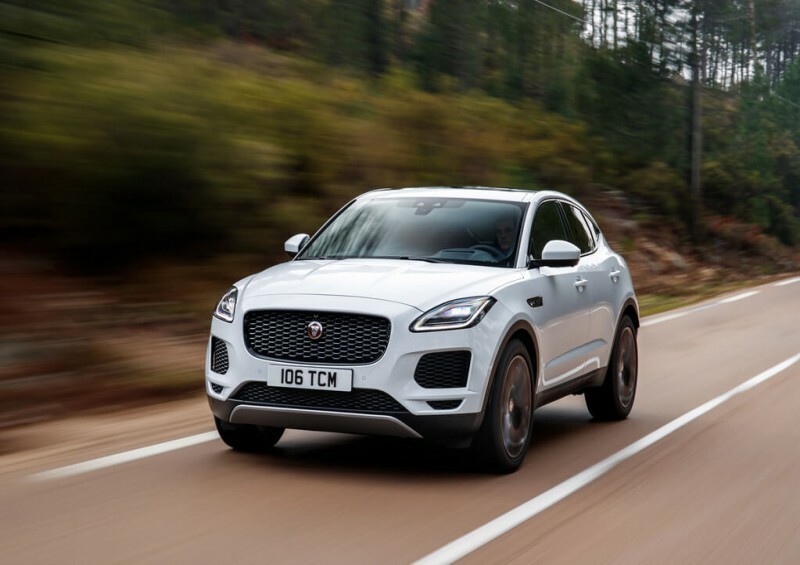 Don’t worry about those big one-off payments though, because with us at Complete Leasing, you can make it more affordable by leasing your Jag E-Pace on a personal contract hire agreement from around just £470 a month (including VAT). The range-topping Jaguar HSE P300 is a pretty quick car, setting a 0-62mph time of just 6.1 seconds despite weighing around 1.9 tonnes. The less expensive models take around 8-10 seconds, but being such a heavy car, the engine works seriously hard. It’s 570kg heavier than the Audi Q2, 300kg heavier than the BMW X1, and it’s even heavier than the F-Pace – which is a bigger SUV. It’s fair to say the weight doesn’t go unnoticed when you drive it. Is that good or bad? It essentially depends on your preferences. At quicker speeds, the brakes can seem to be over-worked by the weight, and there’s no real thrill or excitement provided by the E-Pace – but then again, that’s not really what you’d expect from a crossover anyway! The E-Pace is, however, an incredibly accurate and responsive car, and the sturdiness of the design and engineering puts you at-ease when driving. You always feel safe inside it, largely due to its solid steel construction (the cause of its heavy weight) and clever features such as the automatic emergency brakes. It’s crisper and more stable than the F-Pace SUV, and probably easier for new owners to get along with, due to the good body control and near-perfect steering. The E-Pace undoubtedly has the best handling in the class, by some distance in fact. It’s more at home on long motorway journeys than on city roads but can do both, with a comfortable drive, very little wind noise and a quiet engine at higher speeds. The Jag E-Pace is luxuriously finished and a well-developed, carefully constructed alternative to larger SUVs. Its primary selling point is the fact that it’s the best handling crossover in the market at the moment, but it doesn’t end at that. With the E-Pace, you get a comfortable drive, great practicality, and stylish looks both inside and out. Our Jaguar E-Pace lease deals are available at some of the most competitive prices in the UK, starting from just over £468 (incl. VAT) a month with a £1,425 initial rental fee for the base D150 on personal contract hire. Our E-Pace leasing offers cover the whole range, from the base D150 to the most deluxe P300 R-Dynamic HSE – worth almost £50,000 – for £783 (incl. VAT) a month and an initial rental payment of £2,349. If you’re interested in leasing with no deposit then we may be able to adjust the deal to match your budget – simply get in touch! All prices mentioned above are correct at the time of writing, but be sure to browse our latest deals on our website and follow us on social media to keep up with our most up-to-date offers. Remember, if you can’t find what you’re looking for, get in touch with us as soon as possible and one of our representatives will find a lease deal that fits your exact needs. 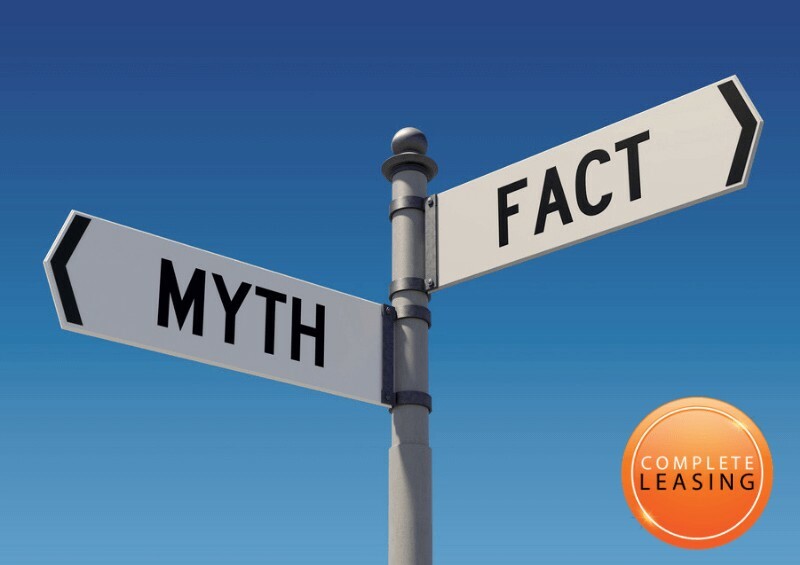 Here at Complete Leasing, we are flexible and will help find the best deal for you and your budget, so get in touch for your personal quote today by giving us a call or completing our short contact form!